To download, please right click on the logo of choice and click ‘save image as’. From there you can then save the logo to your desktop or any folder on your personal computer. 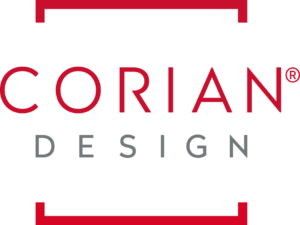 To download a zip file of all the 2018 Corian logos, please click here. This year is Corian’s 50th Anniversary. In celebration, this anniversary marks a new global business and brand vision that aims at maximizing the design potential of the Corian® that you’ve been designing, showcasing, and innovating with for years. This branding has a whole new look and way of expressing brand beliefs. Most importantly, this refreshed branding offers a new range of products and aesthetics that invite you to meet the Corian® you never knew. Corian® will continue to develop innovative new products, introduce new aesthetics that will drive the marketplace, and expand the portfolio under the Corian® Design brand to inspire you. Most importantly, Corian® will continuously meet the evolving needs of your customers and modern society. Under this evolved branding platform, Corian® will be elevated beyond “solid surface” to become a global master brand – Corian® Design. 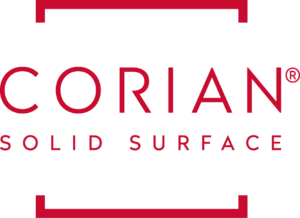 It will capitalize on the brand’s existing strength as the leading brand of premium decorative surfaces, and leverage the power of the brand as we drive growth to the Corian® Design business. A strong brand is needed for the future to grow in both Commercial and Residential markets and to create better experiences for our target audiences and business partners. 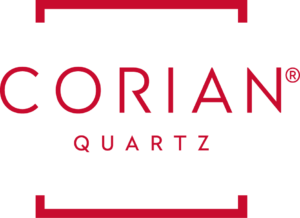 The Corian® Solid Surface and Corian® Quartz brands will help lead the way in making the Corian® Design brand relevant, appealing and differentiated. If you have any questions about this brand rejuvenation or requests for additional logo variations, please either contact your H.J. Oldenkamp Sales Representative or email info@oldenkamp.com.